Sunny Isles Beach Movers – There are few things as time consuming as moving. The right mover can not only save you much of your valuable time, but a lot of stress as well. 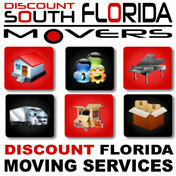 Discount South Florida Movers has been helping people in Miami save time and worry for fifteen plus years. Our rates are the lowest around and we guarantee that you will be completely satisfied with your experience. We handle as much of your move as you need while resting assured that your belongings will be transported as safely and timely as possible. Our team of experts can handle any of your special requests including moving difficult items such as pianos. A supervisor is on site for every move to help you plan and execute the move however you need it. Let us help you with all your moving requirements. Sunny Isles Beach is a city that sits on a barrier island in the northeast corner of Miami-Dade County. This city of 21,000 is nicknamed “Little Moscow” because of the large Russian population. Almost 10% of the residences are of Russian ancestry, including a sizable Russian Jewish community. The city is also a sister city with Netanya, Israel. Economically, tourism plays a huge role for the city. Hotels with various themes line their “Motel Row”. Another attraction is the Sunny Isles Pier which became a designated historic site in 1982. The city is also notable for being the location where MTV filmed their annual “Spring Break” party in 2008.